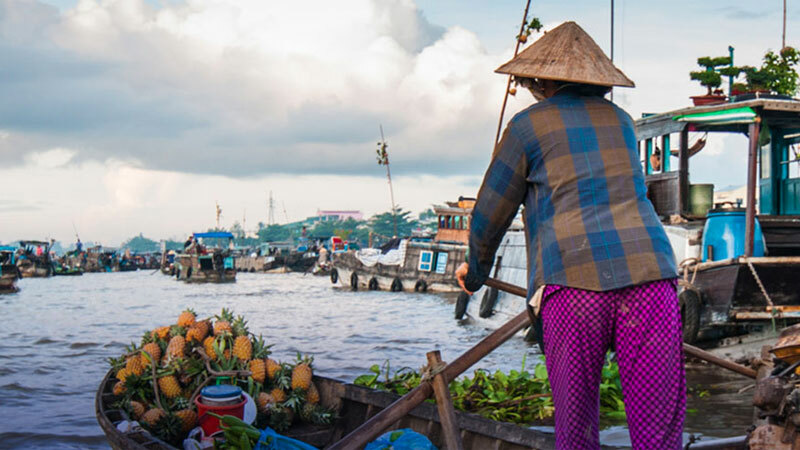 A short trip from the city of Can Tho, the Cai Rang floating market symbolises the quintessence of life on the Mekong Delta. 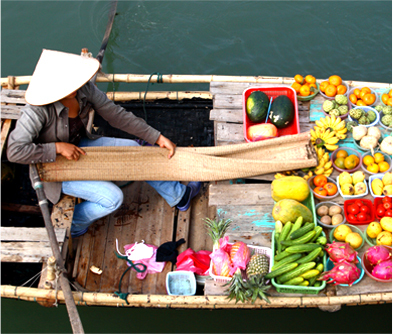 Every morning, hundreds of boats piled high with fruits, flowers and vegetables, throng these shores. 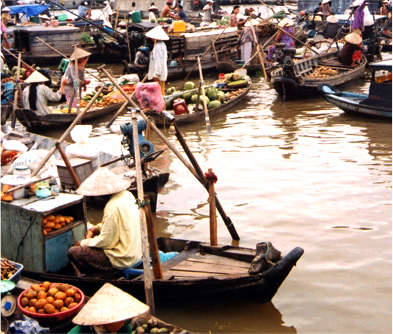 This wholesale floating market is colourful and chaotic and the very epitome of Indo-China. It’s serious business. The boats jostle for space, attention and the air is filled with the clamour of children, coffee sellers and makers of noodle soup! 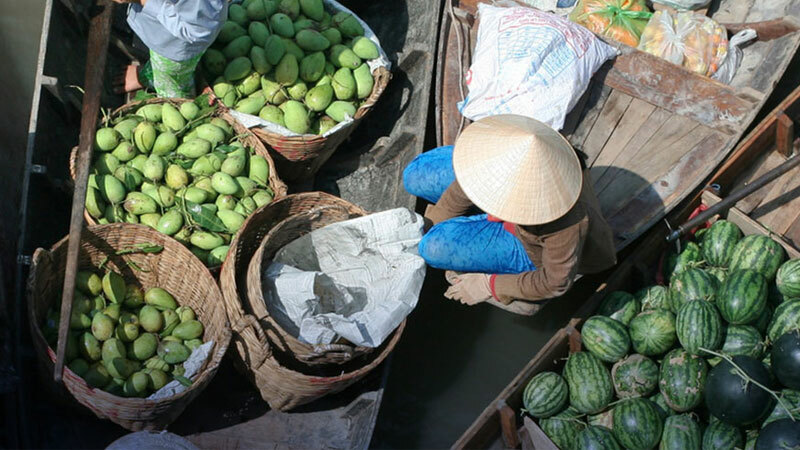 The boats sell all kinds of tropical fruit or seasonal farm products, including water melons, mangoes, oranges, pineapples, dragon fruit, pomelos, durians, pumpkins and cucumbers. Buyers simply look at the samples dangled on top of the boats and go for what they want. 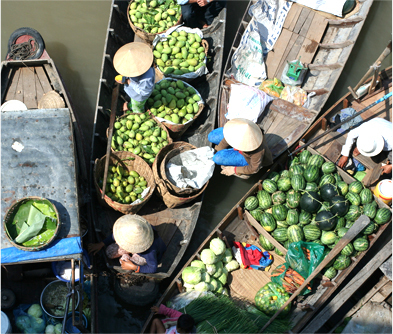 For the virtuoso performance of the morning, see sellers and buyers throw produce from one boat to another. With the precision of circus jugglers, these artists make sure the goods reach the right hands! 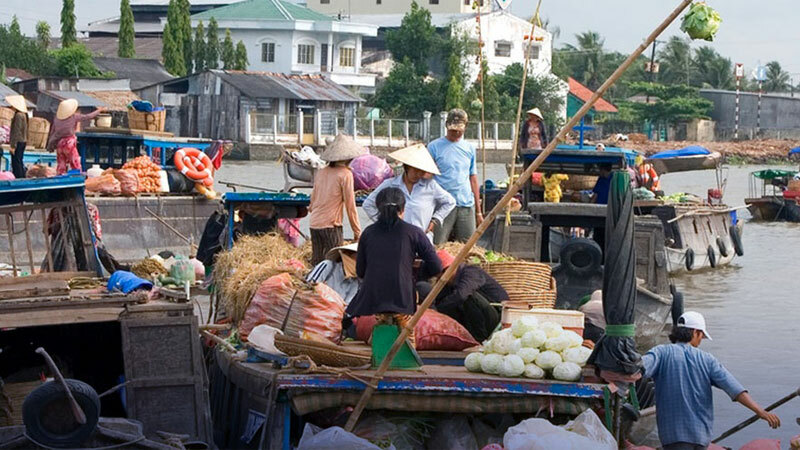 The Cai Rang market is an early morning one and you can grab a floating breakfast as well. Or simply settle for outstanding Vietnamese coffee or Hu Tieu (noodles).